Here's an interesting anecdote about Ernest Hemingway: He stayed at the Paris Ritz in 1928, where he left trunks of material that he didn't retrieve until 1957! We wonder what those chests contained and what made Hemingway decide, after nearly three decades, to finally recover them. Perhaps the hotel manager said, "Enough is enough, come get your stuff!" 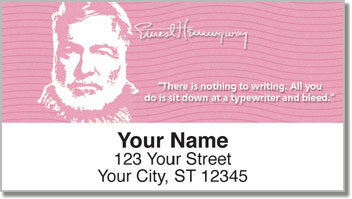 Or was it that the depressed author, who committed suicide just four years later, was pining for the relics of his past? We leave it to you to ponder... and while you're at, ensure that your own letters will be returned in a more timely fashion, should they prove undeliverable. 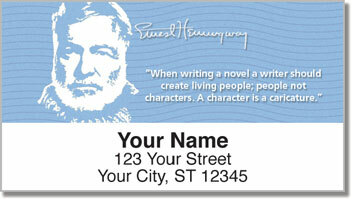 It's easy when you use these handsome Ernest Hemingway Address Labels from CheckAdvantage. Order yours today!